Was it really only yesterday that we first heard that the new Tomb Raider reboot will feature the first multiplayer mode ever seen in the series? Apparently so, yet today the rumor has already been confirmed, and it looks like we&apos;ll have all the details soon. 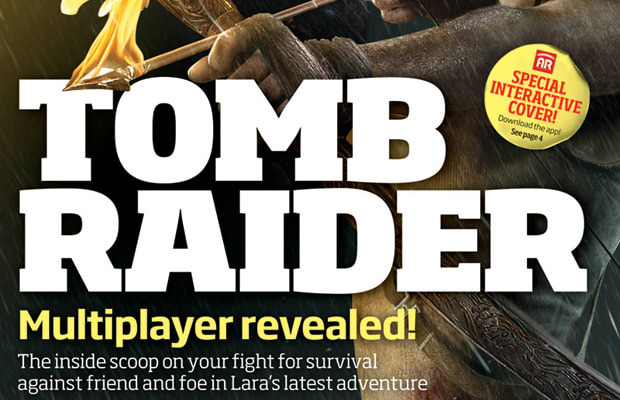 The next issue of Official Xbox Magazine has the exclusive on the reveal of Tomb Raider&apos;s multiplayer, so we&apos;ll have to wait a while longer for all the details to emerge. But one choice quote does indicate that the team at Eidos Montreal, the studio that&apos;s been building Tomb Raider&apos;s multiplayer while Crystal Dynamics made the single player game, was "inspired by the overwhelmingly positive response to co-op play in Lara Croft and the Guardian of Light." It&apos;s unclear whether Tomb Raider&apos;s multiplayer will be co-op, like Guardian of Light, or some form of competitive play, possibly like what you see in Uncharted. In fact, the only thing that is clear is that we&apos;ll know more soon.